If your dishwasher does a poor job of cleaning dishes, make sure nothing is obstructing the spray arms. Also check the tension on the bolt at the hub of the upper spray arm to make sure the arm turns freely. If your dishwasher leaves spots, film, or white residue on dishes, try these simple DIY tips. 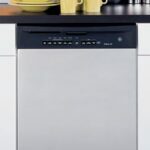 If a dishwasher washes poorly, a common cause is improper loading—dishes that block or impede the spray arms or prevent the soap dispenser from opening. On the other hand, if your dishwasher has chronic problems with good washing, the problem may not be your dishwasher. A good first step is to vary the amount of dishwasher detergent you’re using and try switching brands. Other possibilities: Your home’s water pressure may be too low, your water may be too hard, or the water temperature may not be hot enough. 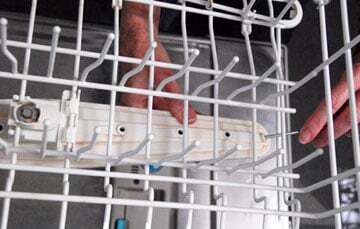 For other dishwasher repairs, see How to Repair Dishwasher Problems. Problems with getting dishes clean usually have to do with the water pressure, the hardness of the water, or the ability of the spray arms to spin and spray. 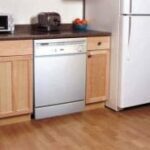 In order for your dishwasher to fill to the appropriate level, water pressure should be from 20 to 120 pounds per square inch. If you suspect that your water pressure may be low, turn off all faucets or other users of water (such as washing machines and sprinklers) and then put a half-gallon jug under the kitchen faucet. Turn on the hot water full-blast. If the jug doesn’t fill within 14 seconds, your water pressure may be too low for proper dishwasher operation. Call your city water utility to discuss your options, or avoid drawing water elsewhere in the house or yard during dishwasher cycles. The right amount of detergent to use depends on how large your load of dishes is and how hard your water is. Hardness is measured in grains of minerals—the more grains per gallon you have, the more detergent you’ll need. 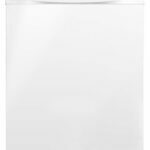 If your water has 12 grains or more of hardness, fill both dishwasher soap cups completely with detergent. If that doesn’t work, consider installing a water softener. For more information, see How to Test for Hard Water. 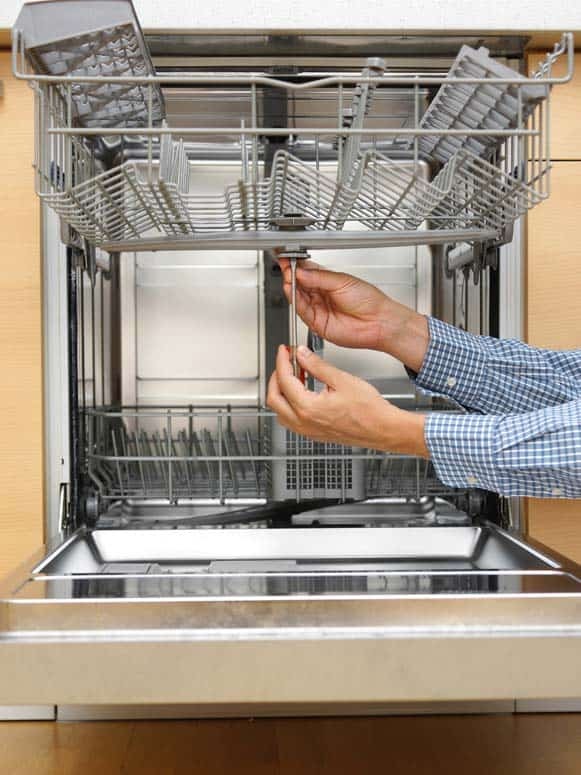 If your dishwasher has worked fine in the past but suddenly your dishes aren’t clean after the dishwasher completes all cycles, listen to the spray arms spinning inside during the wash cycle (these are typically located at the bottom of the machine and under the top dish rack). If the spray arms are spinning poorly or not at all, turn the dishwasher off and allow it to cool down. Make sure nothing is blocking the arms from turning. Check their rotation to see whether they spin freely. If they don’t, remove them by unscrewing the hubcap or hub bolt. Check the bushings. If they’re worn, order replacements and install them. Remove the bottom rack and clean out the holes in the spray arm using a stiff wire. Use a stiff wire to clean out the holes in the top spray arm. If the arms turn freely, the problem is more likely mineral deposits clogging up their spray holes. To clean the bottom spray arm, remove the bottom dish rack and use a stiff wire to clean out the holes in the arm. You can often clean the top spray arm without removing it; again, just use a stiff wire to clean out its holes. If your dishes or glassware appear filmy or spotted following a complete wash cycle, adjusting the amount or type of detergent you’re using and adjusting your hot water heater’s water temperature may solve the problem. But before you do either of these, put a rinse additive (such as Jet-Dry) in the rinse dispenser to improve the sheeting action of the water. Next, you’ll have to determine whether the film is removable or permanently etched. To do this, soak a glass in undiluted white vinegar for about 15 minutes. Or, wash the glass with warm water and concentrated dishwasher detergent or a high-phosphate detergent (such as Glass Magic). 1Be sure hot water entering the dishwasher is no hotter than 140 degrees F. Don’t use extra-hot settings such as “Power Scrub,” and use the “Energy Saver” dry cycle. 2Adjust the detergent amount. First try using a little more, and then try using less. 3Don’t pre-rinse your dishes before loading them in the dishwasher. 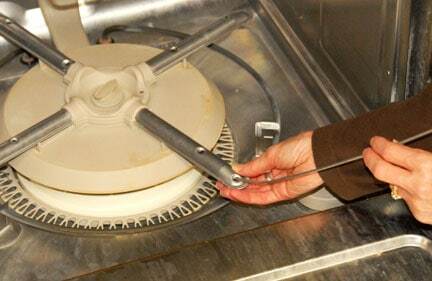 Food particles on the dishes actually help the detergent and drying agents clean better.